The Court of Two Sisters is more than a restaurant – it’s a legend. Enjoy luscious Creole and Cajun cuisine. Listen to authentic jazz. Pass through our Charm Gates. Make a wish in the Devil’s Wishing Well. 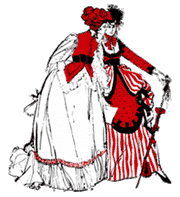 And hear the story of Emma and Bertha, the two sisters who ran a notions shop here once upon a time in the French Quarter. If elegance has an address it’s 613 Royal Street. Court of Two Sisters has charmed and delighted guests at weddings and other social gatherings for more than half a century. This is where both memories and history are made. Come see us during Mardi Gras!